Dailey (Boggs), Beth Fay- went to be with our Lord Jesus Christ on Friday, August 31, 2018 at the age of 54 years. Beth was born December 26, 1963 in Detroit Michigan at Harper Hospital. Within a few days she was at home in Houghton, Michigan until August 1965 when moving to Warren, Michigan. She attended Pennow School through second grade. In 1971, she moved to Whitemore Lake and finished high school in 1982. She later graduated from CMU in 1986. Beth worked at EDS in Human Resources, UofM Dental School, and the State of Michigan Family Services after college. She was baptized at Peace Lutheran Church in Warren and was later confirmed at St. John's Evangelist Lutheran Church in Ann Arbor. Beth had three children; Cherish Fay (Mike) Miotke, Rebecca Dailey(Angie Hurley), Aaron (Jessica) Dailey. She was "AMA" to seven grandchildren; Marissa, Aubrie, Michael, Stella, Reaghan, Harper and Leo. She is survived by her husband, Michael Dailey, children and grandchildren; parents, James Sr. and Dollie Fay Boggs of Ann Arbor; brother, James Boggs of Waukesha, WI. 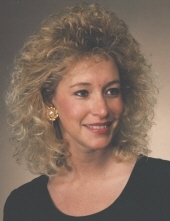 ; sister, Brook Ann Boggs of Canton, MI. ; niece (God Daughter), Jessica Fay Boggs of Huntsville, AL. As a high school student Beth was in the National Honor Society and graduated in the top five of her class. She was captain of the cheerleaders and was winner in the Miss Whitmore Lake talent contest. Beth played Clarinet in the band and was on the Homecoming and Snowcoming courts several times. Beth fought M.S. for 33 years. She was deeply loved and will be sorely missed by many. As a member of Hope Lutheran Church in Linden, MI her funeral is schedule to be held 11:00 AM on Thursday, September 6, 2018 at Hope Lutheran Church, 7355 Silver Lake Road, Linden. Pastor Paul Kollek officiating. Visitation will be at Sharp Funeral Homes, 1000 Silver Lake Road, Fenton Wednesday from from 4 - 9 PM and at church Thursday from 10 AM until the time of the service. Those desiring may make contributions in Beth's memory to the National Multiple Sclerosis Society at www.nationalmssociety.org. Online tributes may be shared at www.sharpfuneralhomes.com. To send flowers or a remembrance gift to the family of Beth Fay Dailey, please visit our Tribute Store. 7355 W. Silver Lake Rd. "Email Address" would like to share the life celebration of Beth Fay Dailey. Click on the "link" to go to share a favorite memory or leave a condolence message for the family.